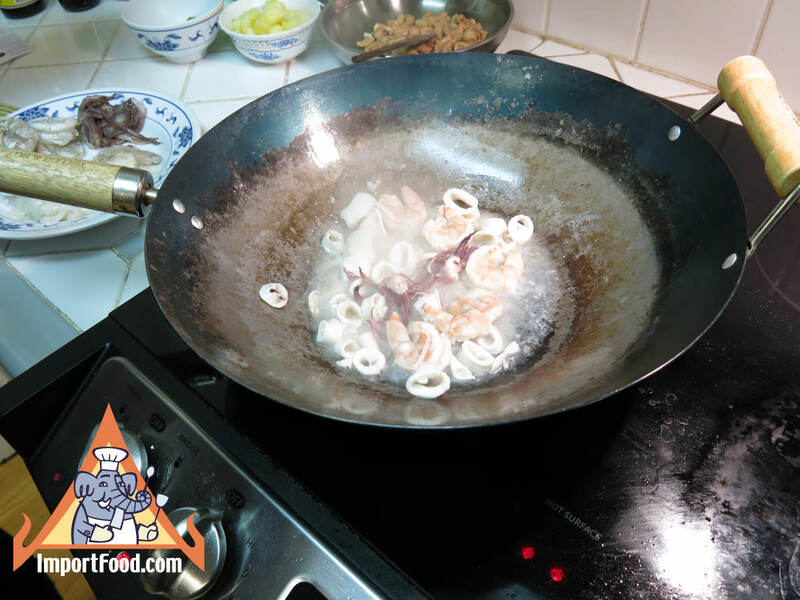 Hand Brand has recently created a new line of very high quality mix packets that allow you to create delicious instant authentic Thai recipes. 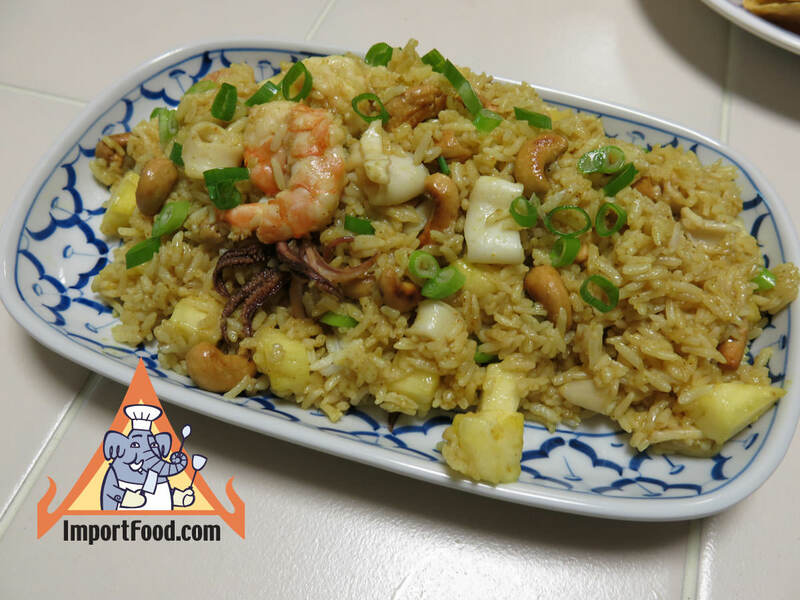 Most notably is the Kao Praram Longsong mix, our favorite. 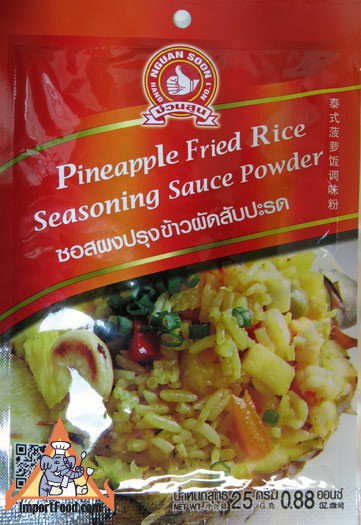 We are pleased to introduce Pineapple Fried Rice Seasoning Powder. On the back of the package are detailed instructions, and we have feature photos below. 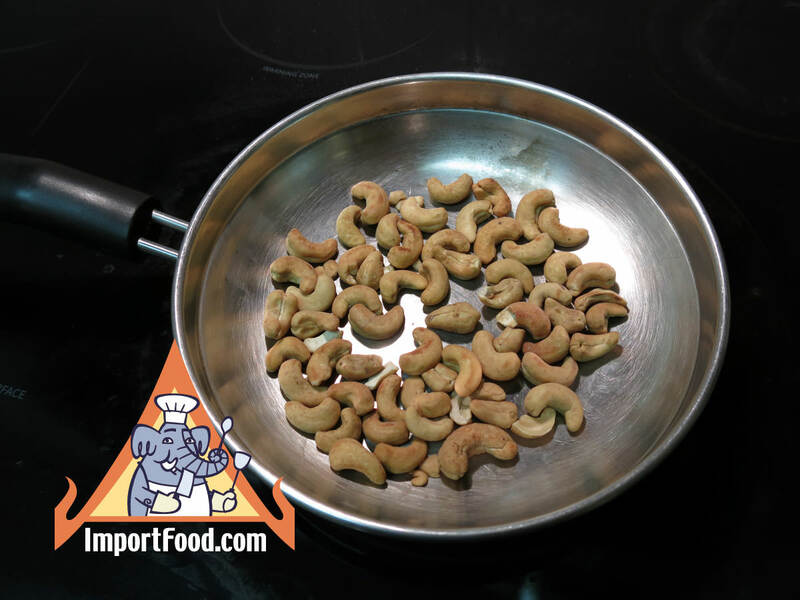 Start by slicing a fresh pineapple, then toast some cashew nuts on a dry frying pan. Separately in a wok, cook a small amount of seafood. Add to the seafood cooked jasmine rice, and the seasoning powder. Mix together, then add the diced pineapple and cashews. 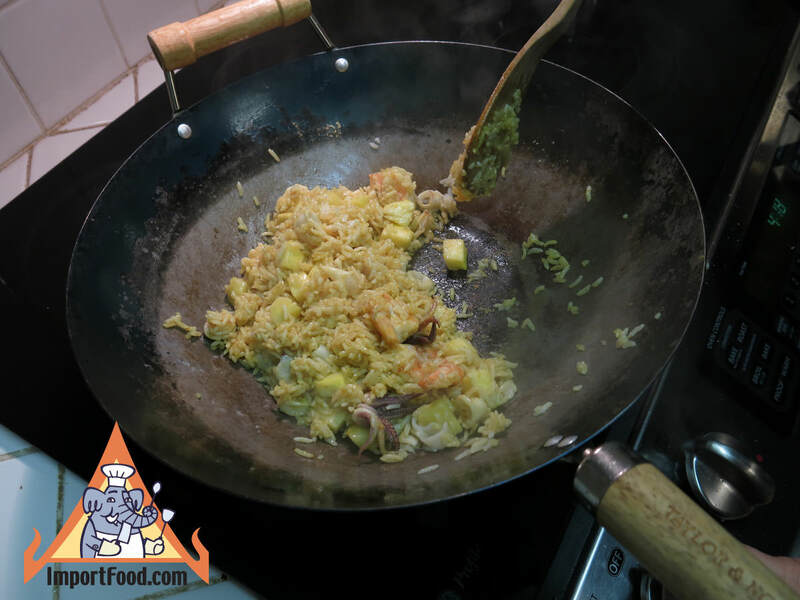 Serve topped with sliced green onion. 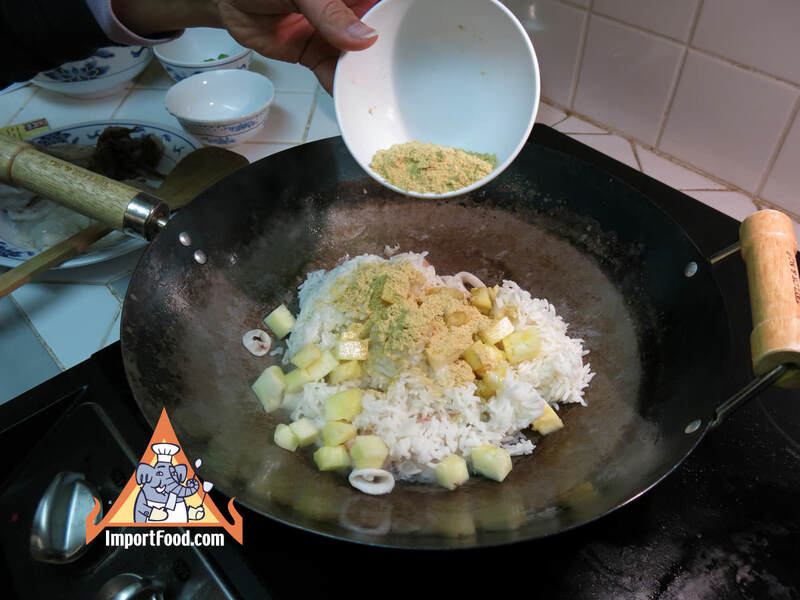 Ingredients: curry powder, sugar, garlic, fish sauce powder, soy sauce powder. Product of Thailand.